The University of Michigan seeks to create an environment of inclusivity for all of its students. Michigan Ross is a member of the diverse U-M community, so please keep in mind that we expect the following guidelines to be adhered to by all recruiters who partner with Michigan Ross. You are welcome to contact us with any questions or concerns. Internship job offers extended following summer 2018 Leadership Conferences will remain open until August 9, 2018. Full-time job offers extended following a summer internship must remain open until September 13, 2018. Full-time job offers extended after the on-campus interview process must remain open until November 1, 2018. Internship job offers extended during Fall 2018 will remain open for two weeks or until October 12 whichever is longer. MBA Banking summer internship offers should stay open until January 31st or three weeks from the date the official offer was made, whichever is later. Full-time offers to previous employees and or summer interns must be held open until November 30th. It is permissible to offer incentives to students who accept a full-time position in advance of these dates. The base offer (including base salary, base signing bonus, and performance bonuses) must remain open until November 30th. Full-time offers extended during on-campus recruiting must remain open for three weeks or until November 30th, whichever is later. BBA Internship offers extended during on-campus recruiting must remain open for three weeks or until December 18th, whichever is later. MBA Internship offers extended during on-campus recruiting must remain open for three weeks or until February 28th, whichever is later. The Employer RelationsTeam endorses the efforts of these students to pursue an internship and hope you find great candidates within this pool. We can help you arrange these meetings during your breaks, lunch, or before/after your interview schedule. Should you have any questions about meeting and considering Part-Time MBAs for internships, please do not hesitate to reach out to us at 734-764-1373. Companies can pre-select candidates for interviews; this portion of the interview schedule is considered the closed portion (or "closed list"). Students will bid for the remaining portion ("open portion") of the schedule. The Ross School of Business interview policy is 75% "closed" and 25% "open." Students are urged to immediately release offers they do not plan to accept. 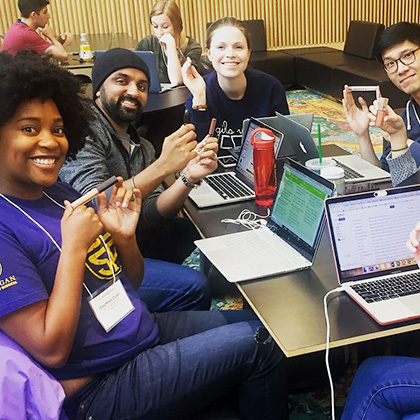 The Recruiting and Outreach Team considers reneging on offers a serious breach of both our recruiting policies and the honor code, and students are so counseled. Such an action receives immediate attention. 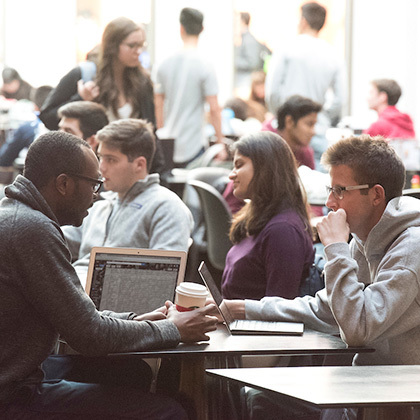 MBA, MM & MAcc: The Stephen M. Ross School of Business does not evaluate its MBA, MM and MAcc students using a traditional point-based grading scale. 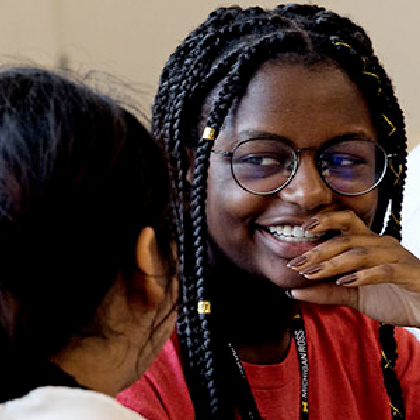 In order to better encourage collaborative, action-based learning, and academic exploration and co-creation, faculty assess students using notations of EX (Excellent), GD (Good), PS (Pass), and LP (Low Pass). Accordingly, grade point averages (GPA) for these students will not be found on their transcripts or searchable resumes (“Default Resume”) in the Ross iMpact database. 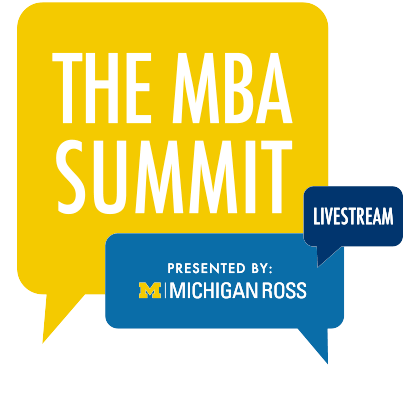 Michigan's Ross School of Business does not prohibit its MBA, MM and MAcc students from disclosing grades during an interview. Students can generate unofficial Ross transcripts for recruiters. Accordingly, if you will require an official transcript for interview purposes, please be sure to announce this in advance. Students may require several days to secure their transcripts from their undergraduate alma maters. BBA: Our BBA program operates with a conventional 4.00 GPA, and therefore BBA students are eligible to indicate GPA on their resume. Michigan's Ross School of Business does not prohibit its BBA students from disclosing grades during an interview. Students can generate unofficial Ross transcripts for recruiters. Accordingly, if you will require an official transcript for interview purposes, please be sure to announce this in advance. 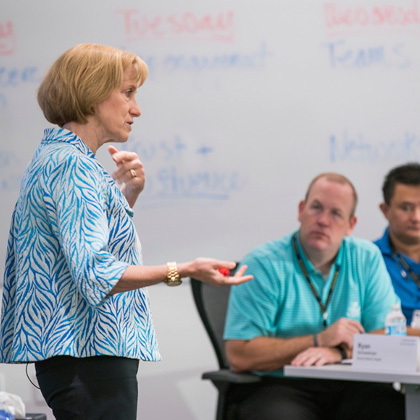 Is your business or organization already a Ross recruiting partner? Log in to Ross Recruit to post a job opening, access resumes, or share recruiting events!